Home > Blog > Employers > So, You Want a Job in the Hospitality Industry? The Hospitality Industry has a reputation of being an industry full of hard knocks style on-boarding, physically demanding work, wacky characters, and wildly unpredictable schedules. 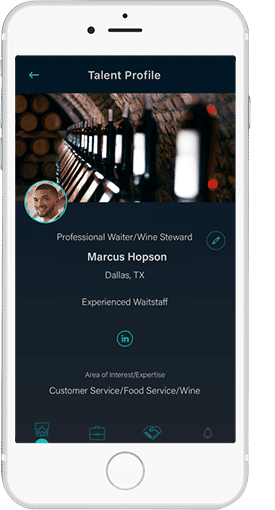 We went on a data search for answers for our Talent members and Employers as to why the hospitality sector has such a hard time keeping their employees. As of December 2018, the unemployment rate in the Hospitality sector was at 6%. As a comparison, the overall unemployment rate in the US is 3.9%. The quit rate is the highest of any industry. In 2018, it was between 4.2% and 4.8% a month. As recently as 2016, that number, annualized was 73%. So, hovering between 50 and 60% last year is actually an improvement. There is a lot of advice to restaurants and hotels out there on decreasing their turnover costs, which is astronomical. By Cornell University’s 2006 estimates, it runs a total of $146,000 bucks a year for "lower line" employee turnover. Any reasonable business person knows that it is in restaurant and hotel owners’ best interest to reduce their turnover costs. Because it costs them roughly $5,000 bucks every time someone quits, and they have to hire a new body. It only took a decade for that Cornell report to filter out, it seems. Restaurants and hotels got the shocking message and steadily began to raise their employees’ salaries starting in 2014. In response, compensation in the leisure and hospitality sector was raised by the largest margin of any other sector between 2016 and 2017: by 3.9%. While that doesn't sound like a whole lot, it seems to be helping, if marginally, with the turnover rate. Obviously, pay still has a long way to go if the turnover rate is going to stabilize. As my dad once told me, "my tolerance for B.S. is directly proportional to the amount I get paid." And, if Anthony Bourdain is to be believed...well, there's a lot of B.S. in the industry that needs tolerating. Want to Give Hospitality a Chance? All of this to say, if you are looking for a job in hospitality, be aware of what you are getting into. During the interview, ask about their employee retention programs. Similarly, don't be shy about asking about their turnover. Even the fast food giants have gotten the message that retaining talent means treating their employees as if they are long-term prospects, not disposable commodities. In conclusion, if the employer is doing nothing to raise their retention rate, it is probably not going to be a long-term employment solution for you.